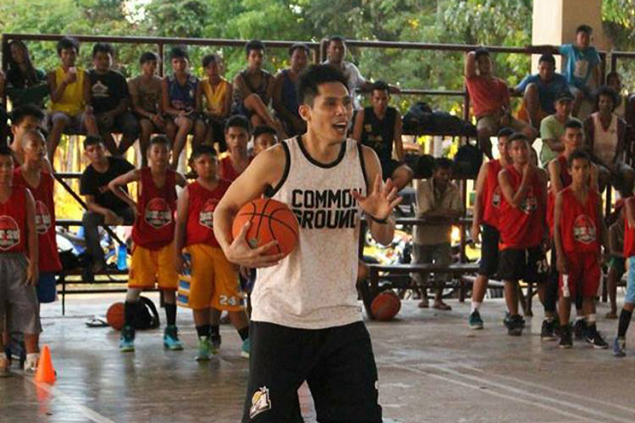 CEBU CITY - Cebuano basketball legend Dondon Hontiveros is returning to his roots as he takes on the role of team consultant for the University of Cebu Webmasters in the upcoming Cesafi season tipping off this Saturday at the Cebu Coliseum. Before making his reputation as one of the most feared shooters in the pros, Hontiveros was once the star for UC in the CAAA, the precursor of the Cesafi. Now, he gets to give back to his alma mater after UC head coach Yayoy Alcoseba offered him the role. “It's really about helping the players get better every single day. I work with the coaches on what drills to run and make them understand why we do that," said the 41-year old two-guard who is coming off a stint with Alab Pilipinas in the ASEAN Basketball League (ABL). Hontiveros explained that more than the skills training, he is more invested in building relationships with the players, especially with those who are eager to learn. “I’m just looking forward to helping them get better on and off the court,” he said. With his son playing for UC’s high school team, Hontiveros said he is excited to be more involved with the school, albeit admitting that he is still getting re-acquianted with the college game. “College basketball is different. But to be involved in helping a team at this level is something I look forward to. I will try to make the most of it and hopefully we make the school proud,” shared Hontiveros.